I’ve Got a USB in my Bonnet! Ah, USB storage. If you have a computer, you probably need it, either for transferring files that are too large for email or to backup files that you don't want to lose. Yes, it's basically a necessity these days – and that often means that finding a drive is a bit dull. What should you buy? How much storage do you need? Why do all of these drives look like black boxes that might be used by the government to read my thoughts? We all have these questions. Here, we're going to look in to USB storage including both external hard drives and thumb drives. We're also going to have a gander at some drives that are a bit unusual. Get ready to nerd out! Today, it's not unusual for an external hard drive to reach into the terabytes. But what do you do if you need an absurdly big storage solution? Buy three 2 TB drives and hook them all up at once? That's not exactly practical. A better idea is to find a truly massive external USB hard drive, something that can be used to store everything in one secure, reliable package. And that's readily available – for a price. Let's start with the practical first. If you need a huge drive, but also need it to be reasonably affordable, you should look at the high-end offers from Western Digital and Seagate. At the time of this writing, Western Digital offers a 3 TB MyBook Essential drive for under $200, while spending about $230 will net you a 4 TB Seagate GoFlex Desk drive. Given the rate of advancement in hard drives, we might see 6 TB drives in a year or so – but in any case, these are the companies you'll want to buy from if you're just a consumer who happens to have a lot of files to store. Those who need something a bit more serious will need to part with a lot more cash. Want big? 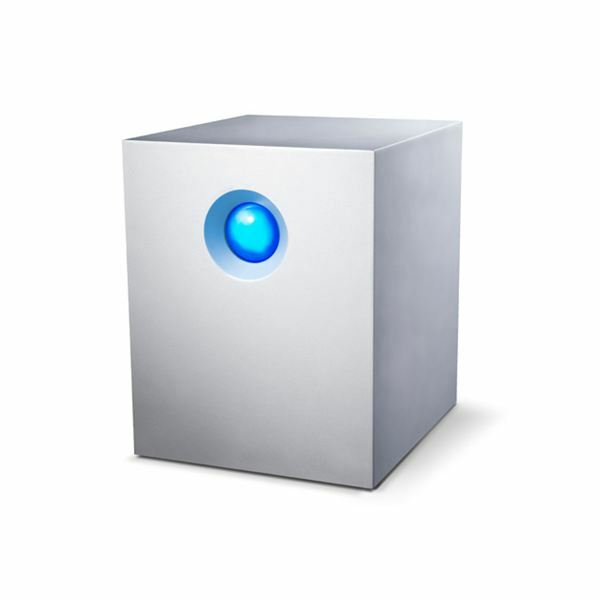 You'll want to look for products from a vendor like LaCie, which currently sells RAID capable external USB drives in sizes up to 12 TB. Drives like this are really meant for servers and workstations, but if you're crazy enough to need a 12 TB external drive, I probably don't need to lecture you on how to properly store data. Okay, so the big drives are kind of cool, but most people don't need them. Let's bring this down to earth for a moment. 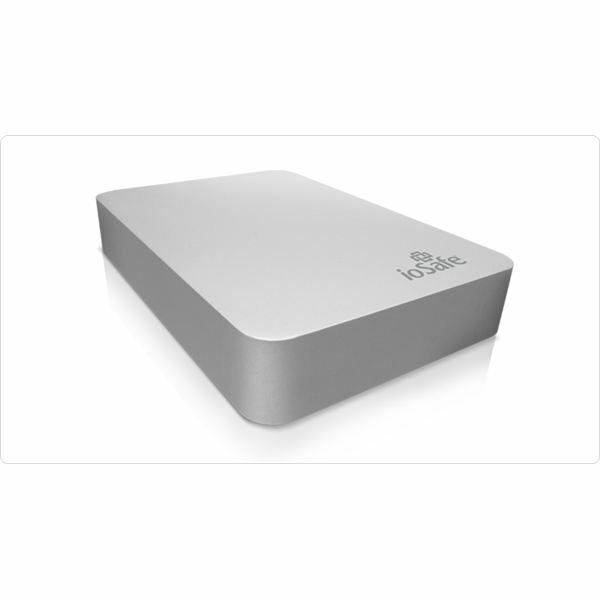 What do you buy if you just need a standard, portable hard drive, with a storage capacity of between 500 GB and 2 TB? Personally, I'd go straight for a Seagate GoFlex drive. In reviews these drives have proven to be a solid performers, most support USB 3.0, and they have a special GoFlex adapter system. With this system, it is possible to convert the drive to a different standard using an adapter sold by Seagate. Adapters are not uncommon, but what's special about GoFlex is that using the adapter doesn't inflict a performance penalty. For example, if you had a GoFlex USB 2.0 drive and switched to eSATA, you'd enjoy the full performance benefit of the eSATA connection. Another favorite is the Western My Passport drive. Why? It's small and reliable. These drives aren't that fancy, but they are barely over half an inch thick and offer solid performance at reasonable prices. If you don't need your drive to be portable, a Western Digital My Book will offer you a higher storage capacity at lower prices. Wanna Shoot Your USB Drive? Yeah, me neither. But everyone has their thing, and if shooting hard drives is yours, consider the ioSafe Rugged Portable. The basic model of the Rugged Portable is built from a solid aluminum casing. There's no pores, no vents. It's all self-contained, and as a result ioSafe says it can withstand all kinds of conditions including a dip in water and many chemicals. Shock and crushing damage also should do little to the drive unless you let a gorilla with a warhammer go at it. And if you do work at a zoo that happens to be near a medieval re-enactment festival, ioSafe offers the Titanium version. Guess what? It's made from titanium. It also replaces the mechanical drive in the USB version with an SSD. As a result, you can bash it, shoot it, throw it in a river – it doesn't matter. The drive can survive. There's even a video of journalists shooting the drive with a shotgun. As well it should, because while a 500 GB ioSafe Rugged Portable runs just south of $200 (no bargain, for sure) the Titanium editions cost as much as $2,000 or more, depending on capacity. Frankly, I'm not going to waste time recommending thumb drives. They're a dime a dozen these days – well, almost. If you want one, go to Newegg, pick the capacity you want, and then sort by user rating to find the best choice. You're done! If you want something a bit more unusual, however, you'll need to look around. Do you need your thumb drive to also be capable of shanking someone? Then perhaps you should consider the Swiss Flash USB Knife. It's available in 8 GB, 4 GB and 2 GB versions and has a knife, file with screwdriver tip, scissors, ballpoint pen, and a red LED light (for distracting a tiger, I suppose). If you want to show off your geek cred, there's many ways to do it. USB thumb drives based on popular movie and TV characters are extremely popular. But if you ask me, the best drive out there right now is the Lego Style USB drive. As you might expect, it looks like a lego block, but opens up to reveal a USB drive. The Lego drive is pretty cool, but maybe you're insanely rich and want to waste money. 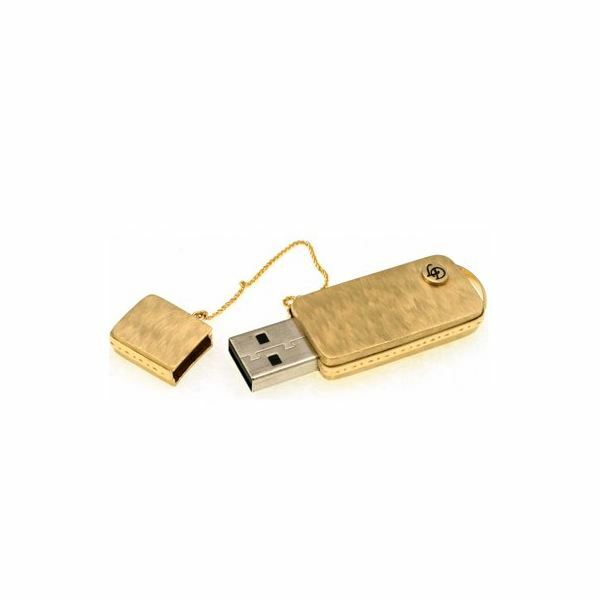 If that's the case, I urge you to relieve yourself of the burden by giving me all your dough – but you could also try buying the 14k gold DIskOnKey which includes an inset diamond and will set you back a cool $2,000. However, according to the official specifications, two grand doesn't buy your USB 3.0. Bummer! I've covered a lot of ground here, ranging from the big to the practical to the rugged to the strange, but there's far more products out there than I could ever hope to write about even if I spent years doing so. Thus, I leave it up to the readers. If you've come across a crazy thumb drive, or you simply have a practical external hard drive to recommend, let us know in the comments.